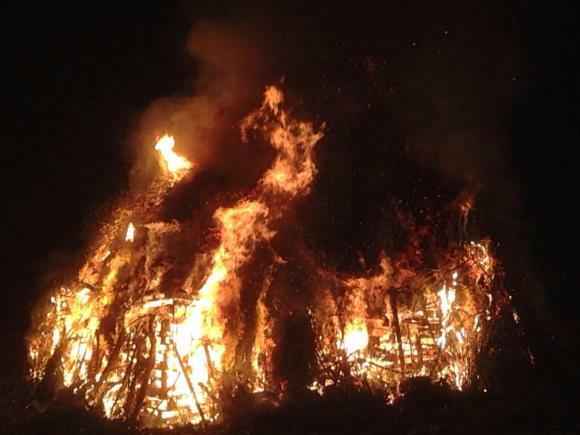 Last year’s Bonfire Night was a ‘roaring’ success. Although it rained heavily immediately prior to the evening this did not deter the good folk of Forest Green. There was a really good crowd and over £600 was raised for local charities. Thanks go to all those who made the evening so successful. After initial concerns that pallets would be in short supply we ended up with about 800! A special thank you to The Scarlett Arms and Etherley Farm for supplying the burgers and sausages for our BBQ. This year’s bonfire will be on Saturday 29th October.